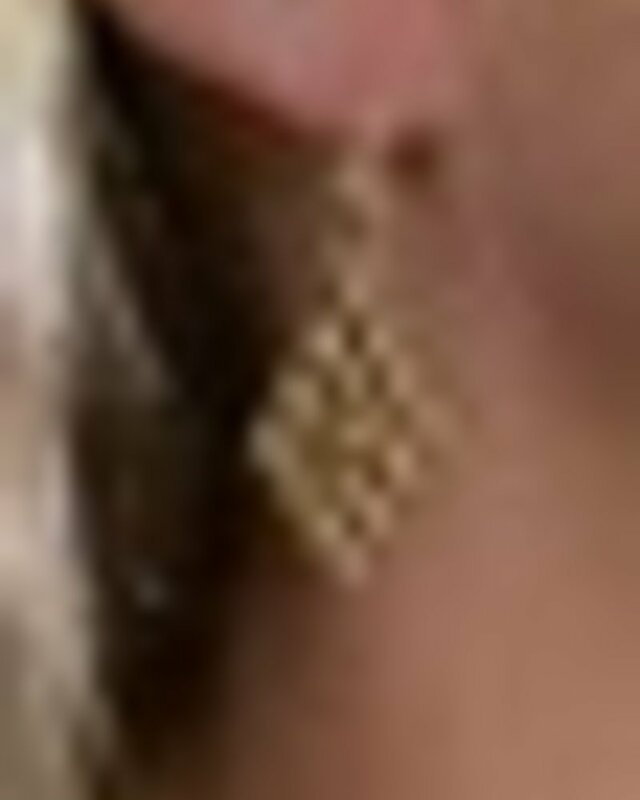 The Liquid Metal Large Diamond Pattern Golden Mesh Earrings by Sergio Gutierrez; style E15 is designed with a classic yet modern, multipurpose look. 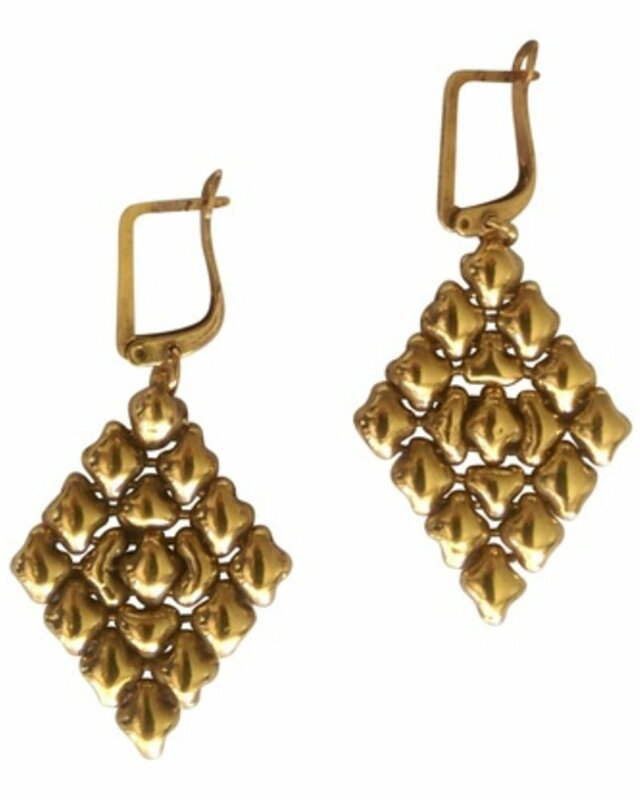 They can be worn at an evening event or any casual occasions, whether you leave your hair down or style it in an updo these versatile earrings are perfect for a flawless look. 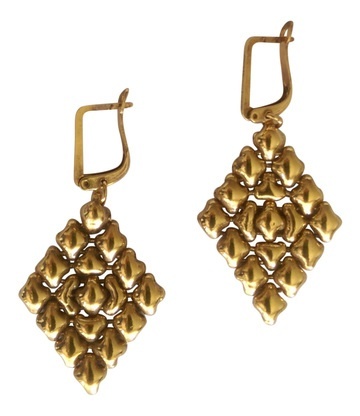 Antique gold finish mesh (24K plated) Measurements: 1.75 inches (length) X 1 inches (width) / 4.45 cm (length) x 2.54 cm (width) Secure lever back closure. Dangle / Drop Style.